I'm trying to play with 4 IXUS camera (55, 50 and 30) to try to see if I can do multi cam shooting. 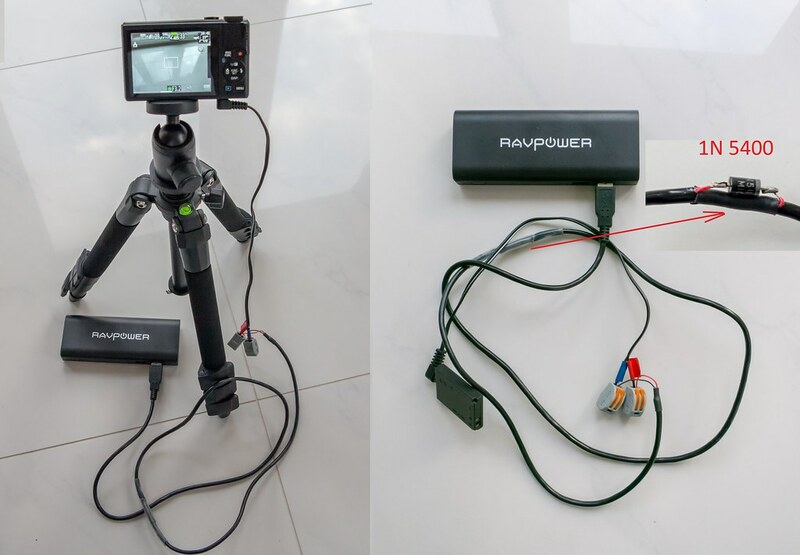 I empty the battery and just let 2 cords (plus and minus) connected to a 4.2V - 900mA power source. So I should not have anymore battery issues. Unfortunately, I can only start camera in Play mode. As soon as I go in Rec mode, the camera is displaying message "Change Battery". How is it possible ? I suspect the 3rd connector in the middle of the battery is the culprit but what to do ? Googling did not help me. You need a bigger power supply, maybe 1.5a per camera. The voltage drops when you try use more than the power supply is capable of. I suspect the 3rd connector in the middle of the battery is the culprit but what to do ? The third connector is a thermistor to monitor the temperature, you do not need it. If I go with 5V, I suppose it is far too high and I can damage my camera ? Or I can give a try not for a long time ? Some people have run cameras at higher than spec voltages, but I wouldn't recommend it unless you fully accept the possibility that it might destroy the camera. At 5V-10A, it works like a charm. I did not do it too much time. So it is my DC-DC converter that seems to reduce too much my Ampers at the same time it reduces voltage (5V to 4V). Putting one or two 1N5400 Rectifier diodes in series between your 5V supply and camera will drop the voltage approximately 0.7v per diode. You should be able to buy the diodes (they are very common) for less that 20 cents (US$) each and they will carry 3 amps. When you say "They will carry 3 Amps", does this means if I had 10 Amps, I will have 7 Amps effective or does this means only 3 amps will be available ? It does not mean either of the things that you mention. The current through every device in a series circuit is the same. The diodes I mention will work with a current of up to three amps. If the current going through the circuit is more than three amps the diodes will overheat and burn out. Oooh yes. Sorry for these dummies questions. 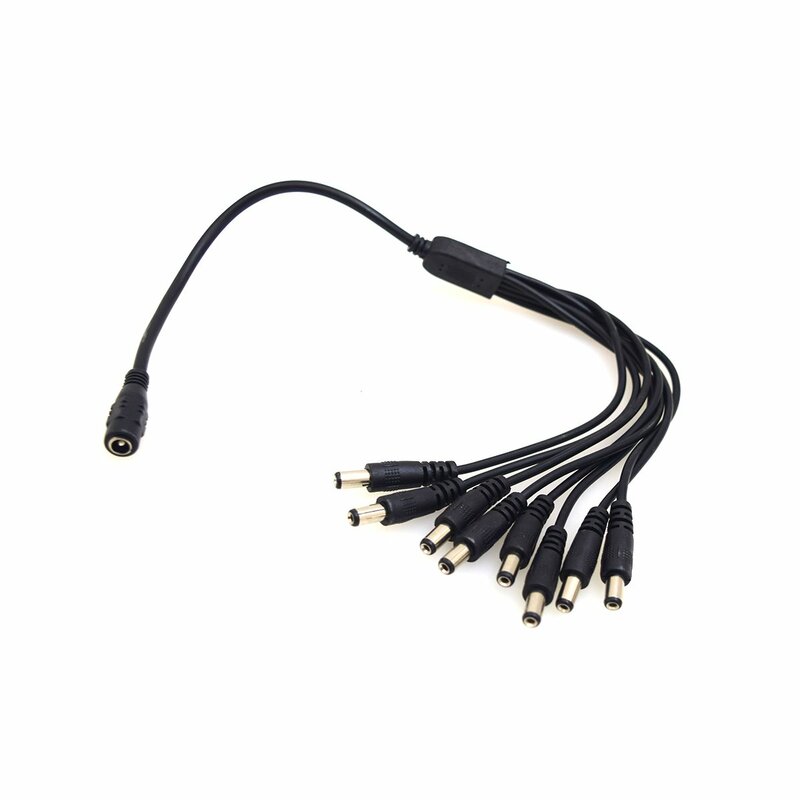 If I understand it well, because I want to use a DC splitter (see image below) with a power supply 5V-10A, instead of using 2 diodes in the main cord, it is better to use number of devices x 2 diodes = 2 diodes on every split instead of 2 on main cord. The main cord can have number of devices x about 1 amps and for more than 3 devices, it does not work because I'm above the 3 Amps whereas if I put 2 diodes for each camera, I will go around 1A per 2 diodes. I understand it well ?